I recognize that your privacy is important. I order to run this site, I may collect certain types of information about you. If you leave a comment on squashsource.com, sign up for the mailing list, or participate in a contest, then the information you provide (e.g. your first name and email address) will be stored automatically in a database. Your email address is never shared. When you leave a comment or win a contest, the first name you provided will be displayed on the site. If you’d like your name removed, just contact me here and I’ll take care of it immediately. I use Google Analytics and Automattic Site Stats to get general information about the number of visitors to Squash Source, and their rough geographic location. This helps me understand who reads the blog and allows me to tailor my content to be more relevant. You can learn more here and here. By the way, I can’t see information about individual users, I can only see the general breakdown across all visitors. I use Akismet to provide spam-filtering. You can learn more here. I use Google Tag Manager to track, in aggregate, which Sponsored Links around the site are being clicked on. This helps me figure out which products readers generally are most interested in. This Website is directed to adults. Do not use this site if you are under the age of 13. If Squash Source is sold, the information I have obtained from you through your voluntary participation in my site may transfer to the new owner as a part of the sale in order that the service being provided to you may continue. 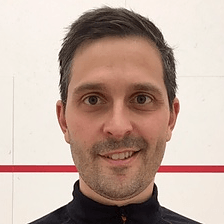 Over the years I have participated in affiliate programs with different partners including but not limited to amazon.com, amazon.co.uk, amazon.fr, amazon.de, controlthet.com, dlsports.com, ebay.com, holabirdsports.com, my-squash.com, ofcourts.com pdhsports.com, racquetguys.com, racquetlab.com, runnerspoint.com, sarenza.co.uk, spartoo.co.uk, sportsshoes.com, sportsvirtuoso.com, squashanalysis.com, squashgear.com, squashskills.com, squashunlimited.com, sport-hive.com, sweatband.com, zalando.co.uk, and zappos.com. If you purchase a product through a link provided on squashsource.com, please note that I may receive compensation, at no additional cost to you, from my affiliate partner as a result of your purchase. This revenue helps support Squash Source and I appreciate your understanding and support!